Not all CSS3 features (e.g. gradients, rounded corners, box-shadow) are supported by older versions of Internet Explorer. 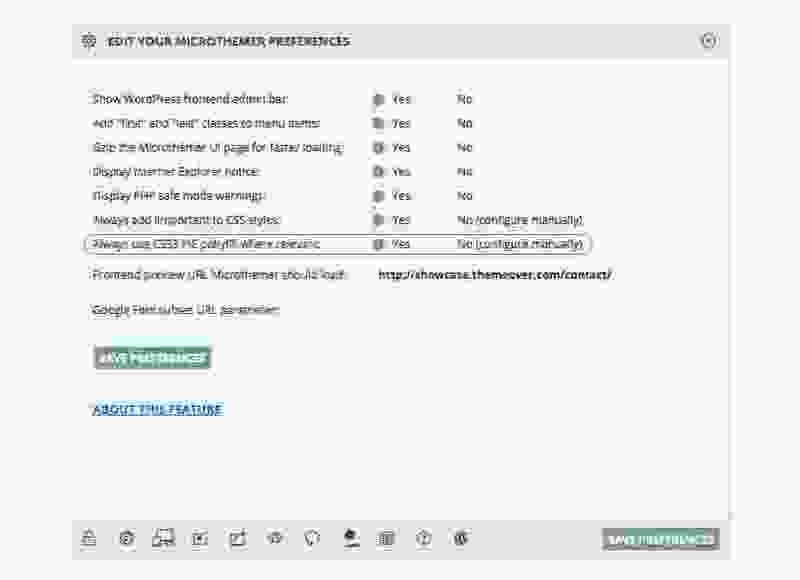 Microthemer comes pre-integrated with CSS3 PIE – an htc pollyfill that makes gradients, rounded corners, and box-shadow work in Internet Explorer 6 – 9. 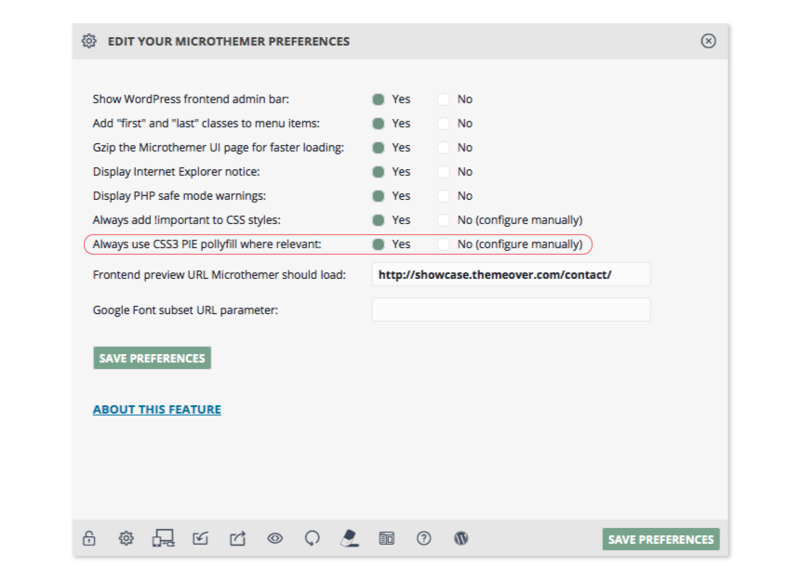 CSS3 Pie can be turned on globally via the Microthemer’s preferences (see image below). If PIE is not enabled globally (the default in version 3), you can still enable CSS3 PIE on a per-selector basis. To do so, click on the selector’s name in the top toolbar to bring up its quick editing options and then click the pie icon in the bottom left corner to turn it on/off. Note: Microthemer automatically applies “position:relative” when you enable CSS3 PIE. To find out why, and ways to deal with this please read more about CSS3 PIE here.